Brynmawr is a market town situated on the highest point of the heads of the valleys road in South Wales. The name is Welsh for ‘Big Hill’. The town grew substantially when coal was a vital commodity from the South Wales valleys. Today Brynmawr has an estimated population of 14 thousand people. 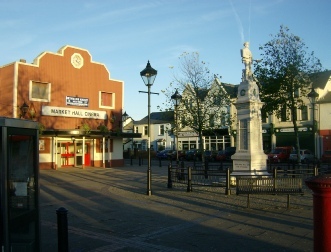 The town boasts a local cinema and a museum. As well as local shops there is an Asda and new shopping outlet situated on the site of the former Dunlop Semtex Factory. It has some great walks through rugged hilly landscapes and is near the cave systems of Clydach gorge. Nearby Big Pit is a popular tourist attraction. BrFM is our local radio station. You can listen online!